Shopify is one of the most recommended ecommerce solutions for anyone who wants to create an online store. It is a hosted ecommerce software that anyone can use to build their online store. 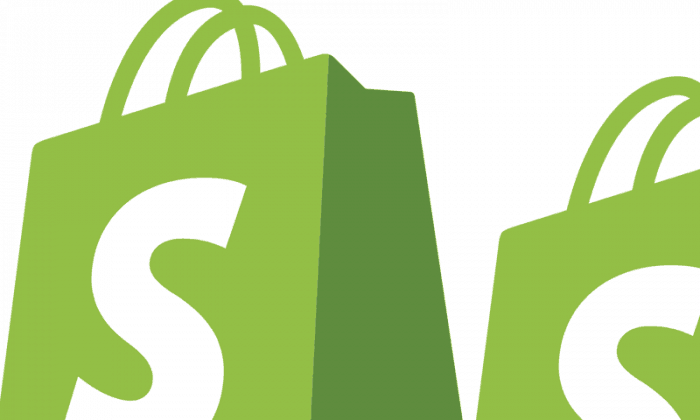 You may also be interested in this post about why I recommend Shopify. Many things need to be considered when operating Shopify stores. To learn these things, there are many online courses which help you when it comes to knowing how to manage Shopify stores. Why is it important to learn how to use Shopify? Save costs : When you learn the skills, you will be able to maintain and manage your store and won’t have to hire a Freelancer to help you. Security : When you are the only one with access to your website then security of your passwords and username is guaranteed. Help Family and loved ones : You will be able to help your mum, dad, best friend or lover get their shop online at no extra cost to them. A lot of people are getting into drop-shipping and you could help any of your loved ones also make extra money in times of financial difficulties. Make Money : With the skills you attain, you will be able to start freelancing. Believe me, there are so many Shopify Merchants who need help with their stores. The demand is there. So, even if your shop isn’t making any money yet, you could become a Shopify Freelancer and use the money you earn to market your store on FB, Instagram and so on. Below are the top 10 Shopify courses you should check out if you’re interested in knowing more about selling products online. This is one of the fastest and easiest courses. In this course you will be shown different steps of creating your own beautiful online store with Shopify . It will help you to make money and sell online. It’s instructed by Online Store Made Easy. This course includes valuable content. It is taught in an easy to understand step by step process. The course is designed to include analysis, opinions, techniques, short-cuts and tips by instructor Jason Miles. This course is arguably different from the other courses. It is also well updated by the instructor. This course provides a systematic framework for planning and launching Shopify stores. Online selling with Shopify becomes easy because of this course. The video tutorials are easy to follow and help you to get started right away. In only a day you will be able to setup your online store and run it comfortably. It’s instructed by eCommUnity Coaching. Feel free to check it out. This course helps you to discover all the tips and tricks required to create a store from scratch and then promote it through Facebook Ads. Tomer Algrably instructs it, and the course has more than 1,000 enrolled students. The course covers all of the prominent and essential topics of E-commerce, store creation and allows you to become a professional seller. The instructor, Mr. Nader Hantash, discusses how to create categories and menus, edit or add products, setting domain name, payments and so on. It has more than 5,000 enrolled students and 27 lecturers at the time of me writing this. 6. eCommerce for Beginners – Become a Shopify Master Today! This shopify course is specially designed for a beginner to earn online by making successful online sales. The course is helpful in knowing how to setup and run a Shopify stores. You will also be learning about Google Analytics and using different tools like Mailchimp or FB ads to market your store. It’s instructed by Thomas Wiesner and Andrew Reed. This course offers you the ability to learn different things about Shopify from anywhere in the world. You will learn how to set up a dropshipping business using Shopify. Drospshiipping is a type of business whereby you sell products to your customers and the suppliers or manufacturers of the products are the ones who will handle the shipping of the product to the customer. You never have to stock any products yourself. You will be able to start your dropship business using a laptop You will also be shown how to research product ideas, build your Shopify store by registering a domain name, optimizing it, linking to different websites and so on. Adam Reed instructs this course. By enrolling in this course, you will be able to create a top quality Shopify store and find a profitable niche. This course will guide you in making your store successful. It’s instructed by Rohan Dhawan and has close to 2,000 enrolled students. The course provides great information especially to those who are new to Shopify.The unique thing about this course is in demonstrating the steps regarding the importance of email capture. You will learn more about Email Marketing rather than building Shopify stores, so bear that in mind. The best thing about the course is that videos are very short and you won’t get bored by overwhelming videos. It’s instructed by Rohan Dhawan and Jason Miles. After completion of this course, you’ll be equipped with the skills necessary to set up an eCommerce store using Shopify, finding valuable products that get the attention of customers, and creating Facebook ads to generate more revenue. It’s instructed by Patrick Mallon and has more than 8,000 enrolled students. Once you learn how to use Shopify, the skills will stay with you. You may utilize your skills by Freelancing as a Shopify Expert or save costs by running, managing and maintaining your own store. Here is another hosted eCommerce solution, the top alternative to Shopify.